This single origin decaffeinated coffee from Costa Rica is full bodied and chocolatey. 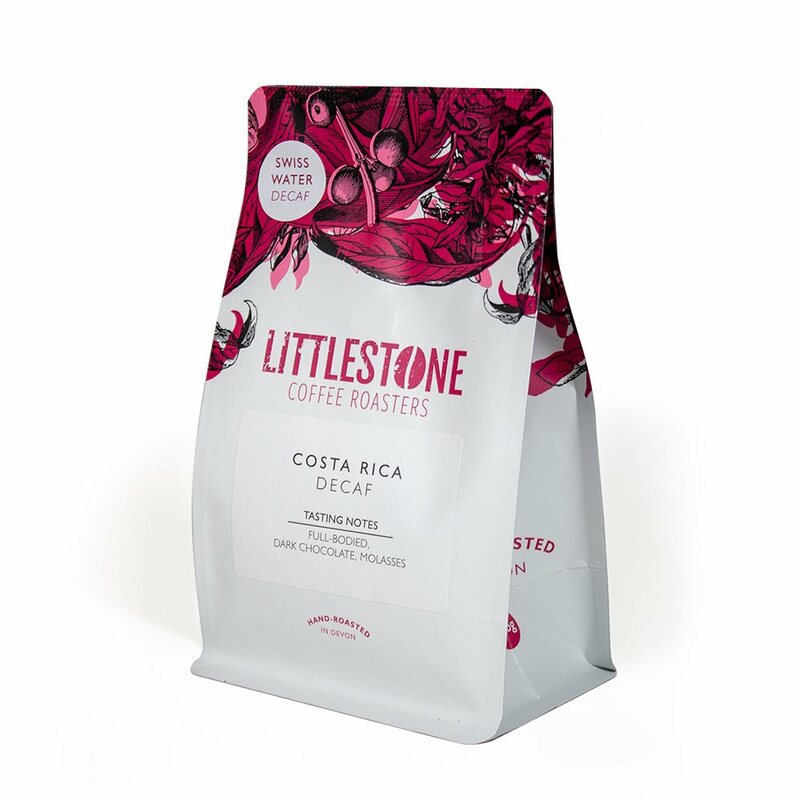 Littlestone Coffee Roasters don’t believe that flavour needs to be the victim of the decaffeination process, which is why they use high quality single origin coffee and a bespoke roasting profile to bring out the very best qualities of the bean. They only use beans that have been decaffeinated using the natural Swiss Water Method. Choose the ground option for filters/cafetieres, finely ground for espresso and whole bean if you have your own grinder to freshly grind your coffee beans at home. Available in 225g, 500g and 1kg bags.